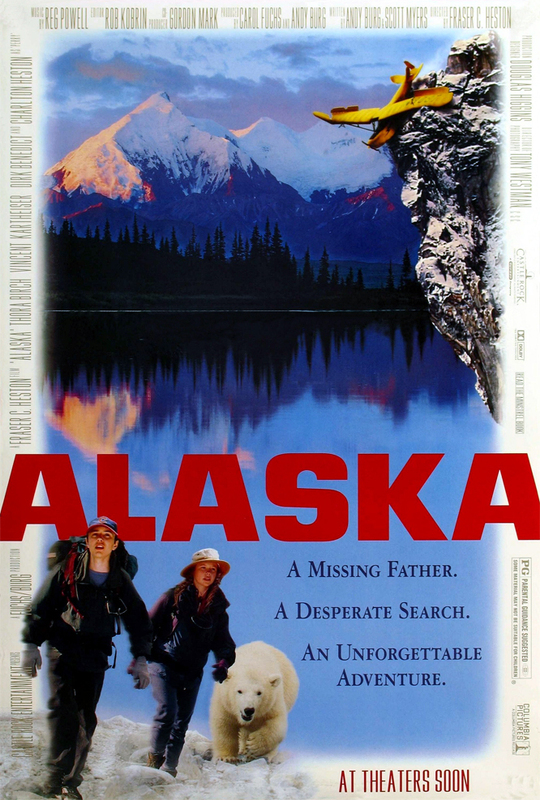 Two children try to find their Dad after he crashes his plane in the wilderness. VIOLENCE/GORE 3 - A man sets his own broken leg (twists and screams). Bears are shot at and killed. A man taunts an imprisoned bear cub with the head and skin of the bear's mother. A bear attacks people. The kids climb cliff faces and mountains and nearly fall or tumble a couple of times; one is knocked unconscious by a rock. They ride dangerous rapids and waterfalls and get dunked a couple of times; one almost drowns. LANGUAGE 2 - A couple of scatological references, mild obscenities and anatomical references. DISCUSSION TOPICS - Wilderness, cliff climbing, poaching. MESSAGE - You can do it if you try; keep the faith.